Summer Season is here & so has the time come to protect our skin from harmful rays or from getting tanned . 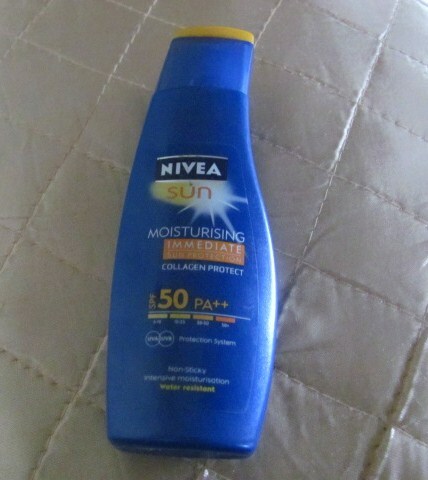 So feel free to read below about Nivea Sun Moisturisng SPF 50 pa ++ ,does it really help in protecting the skin or is it hyped ? Beiersdorf is the German company which owns Nivea. 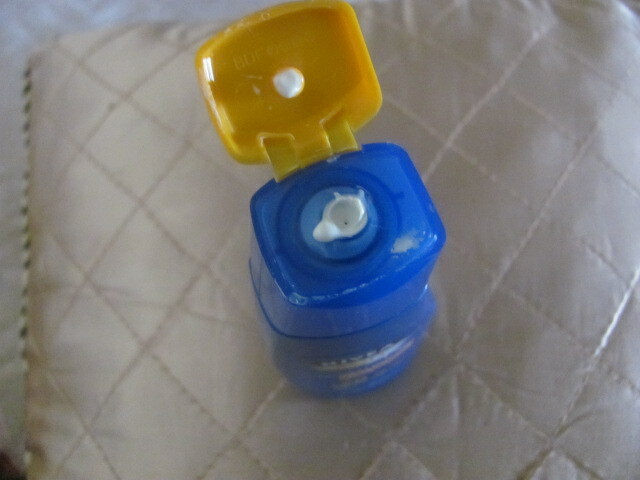 This is a global brand dealing in the manufacture of body care and skin care products.In Latin Nivea means snow-white. Apply generously before sun exposure & repeat frequently , especially after swimming &toweling to maintain the original protection. 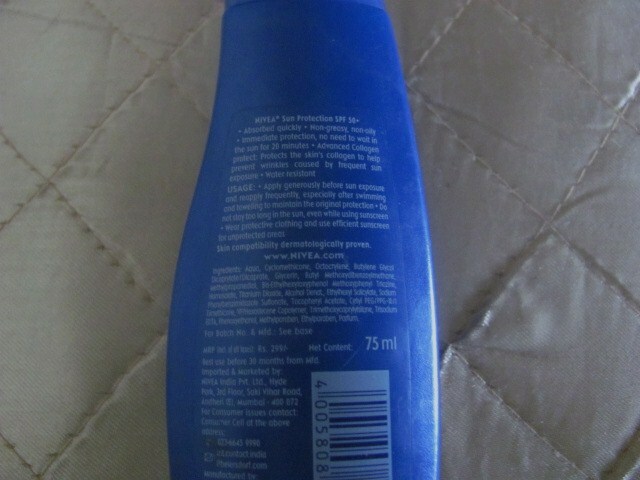 Nivea suncren comes in a blue plastic bottle with an orange flip flap cap,with detailing about the product. The cream is not at all watery,it absorbs quickly leaving the skin soft & nourished .It comes in a palish yellow color with a sweet odor .It is gentle and doesn’t have any side effect .It has a long lasting effect .Protects the skin from harmful uva and uvb rays.Its Unisex . The only negative point is it makes my skin Oily/Greasy . 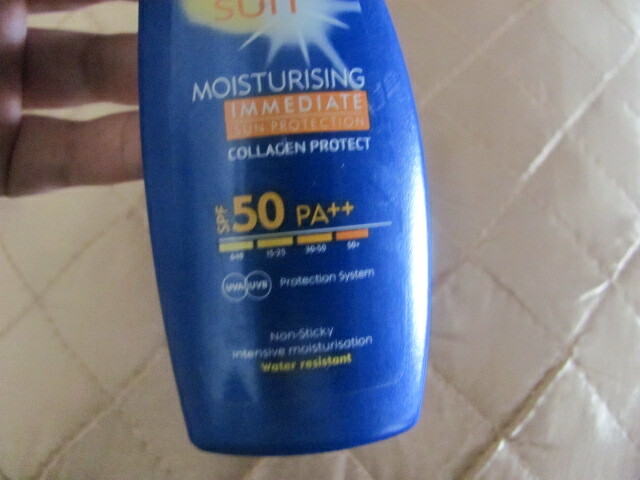 UVA / UVB Protection System. It's an amazing post in support of all the web viewers; they will take benefit from it I am sure. 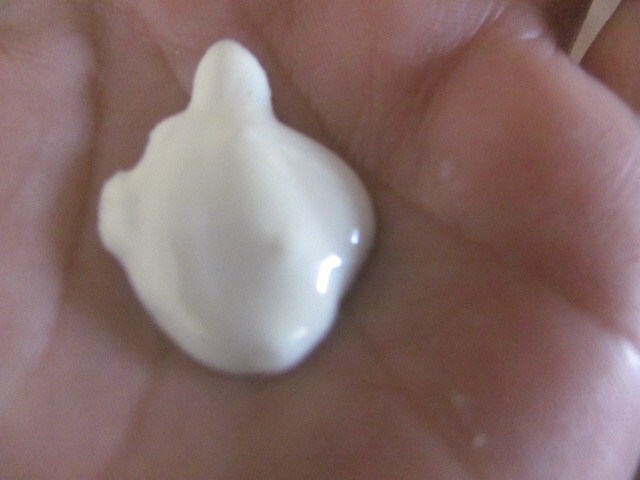 Thanks Richa,even i hate products that make my skin oily.